Our modern problems are no longer the result of single agents but numerous contributing factors. This is true for nearly all of our diseases, social aberrations and international conflicts. A single finger of blame cannot point to any one cause for today’s systemic abnormalities. To try to resolve these complex problems with outmoded simplistic thinking is pure folly. Only by taking Einstein’s advice and thinking differently can we hope to resolve the crises that challenge humanity’s ability to continue evolving to a more conscious way of being. 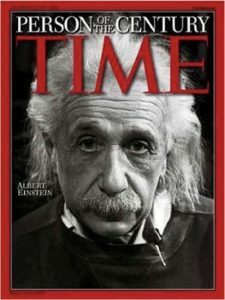 Einstein’s words of advice have been largely ignored for several generations now, suggesting that humanity is very attached to the cause-effect/single cause-agent type of thinking that has been instilled in people by the science-based, rational, reductionistic, and material-driven Industrial Age. Whenever a new disease is discovered, a crime is committed, or an armed conflict has begun, we tend to seek a villain – a lone cause – because a simple and single bad guy gives our simple thinking an easy answer and we can have closure. Led by the media, a blame game seeks a lone cause when our problems are caused by multiple agents and are quite complex. After all, these problems have been generated by very complex systems which have evolved over the past several decades, an evolution which includes tremendous time compaction, incredibly rapid and more widespread communication, more information than we can possibly hold, and the most complex network of relationships humans have ever known. To think we can resolve the most serious problems facing us as a species with the same way of thinking that we did a half a century ago is pure stupidity. Einstein wasn’t stupid. Just because most people don’t understand his work doesn’t mean he should be ignored. A complex society demands a more complex way of looking at situations, solving problems, and undertaking new inventions. Its time our outmoded thinking catches up with the messes our thinking has created. 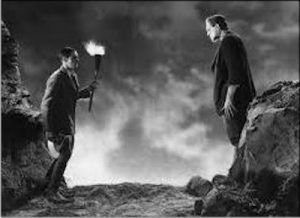 Otherwise, we’re destined to continue starting things for which there is no fix – like Dr. Frankenstein and his monster.